A savory sausage patty, fluffy eggs and aged Cheddar cheese are served on a perfectly toasty English muffin. 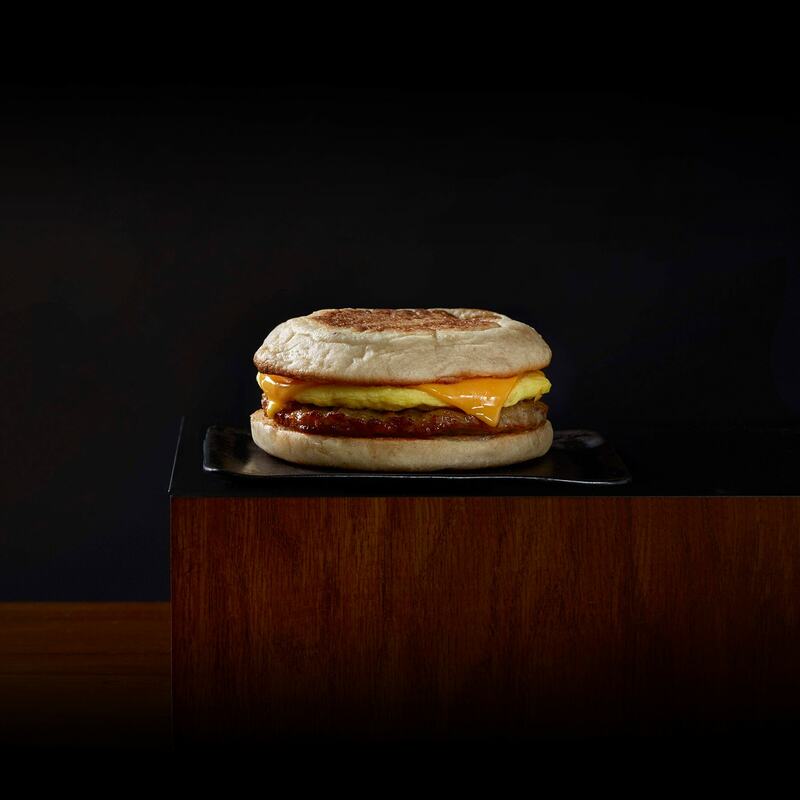 An iconic breakfast sandwich that reminds you why you love breakfast. english muffin (enriched wheat flour [wheat flour, malted barley flour, niacin, reduced iron, thiamin mononitrate, riboflavin, folic acid], water, yeast, contains 2% or less of: sugar, wheat gluten, citric acid, fumaric acid, salt, ascorbic acid, farina flour, wheat flour, monoglycerides, maltodextrin, enriched degerminated yellow corn meal [degerminated yellow corn meal, niacin, reduced iron, thiamine mononitrate, riboflavin, folic acid], calcium propionate and sorbic acid [preservatives], enzymes, vinegar, modified corn starch, calcium citrate, soybean and/or canola oil, corn flour, calcium carbonate, ammonium sulfate, calcium sulfate), puffed scrambled egg patty (eggs, whey, nonfat milk, soybean oil, food starch-modified, contains less than 2% of the following: dicalcium phosphate, salt, sodium bicarbonate, butter flavor [sunflower oil, natural flavors, medium chain triglycerides], xanthan gum, guar gum, liquid pepper extract, citric acid), sausage (pork, water, salt, spices, dextrose, sugar, natural flavor), cheddar cheese (pasteurized milk, cheese culture, salt, enzymes, annatto [for color]).